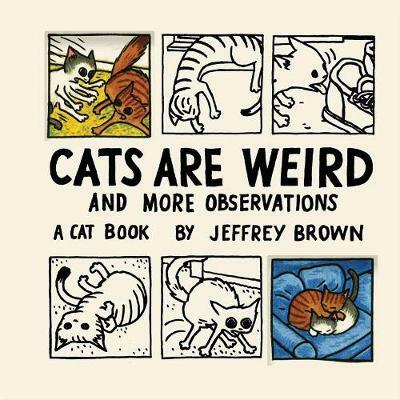 Cartoonist Jeffrey Brown's drawings perfectly capture the humor and quirkiness of cats in all their strange and charming behavior. Following the success of Cat Getting Out of a Bag (30K+ net to date), this all-new collection of COLOR and black and white comic strips loosely follows the adventures of a pair of cats as they explore the world around them, indoors and out. Adventures include taking a nap, licking a shoe, attacking dust particles, hiding in the cabinets, pouncing on fallen leaves, confronting the vacuum cleaner, patrolling the yard, and purring up a storm-all adorably rendered in Brown's immediate and irresistible style. Sure to delight anyone who lives with a cat and appreciates their sweet and batty behavior, this beautifully packaged gift book is the cat's meow.